Until Beto says he will support Medicare for All, he will not get my support. Neither will any other candidate. Not in the primary and not in the general election. Beto O’Rourke hasn’t said he supports Medicare for All. 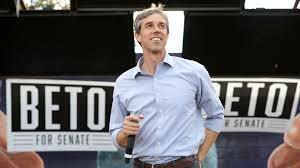 Beto O’Rourke won’t get my vote unless he does. John Hickenlooper won’t get my vote. Jay Inslee won’t get my vote. Others have said we should “move toward” a single-payer system. Even those who are willing to improve and expand Medicare want us to take our time getting there. Unless “move toward” means everyone is covered within two years of your inauguration, you won’t get my vote. I’m serious about this, and I will not move one bit on it. A public option is no longer enough. People are dying every damn day while we dither on how we might move forward, while at the same time never moving forward. It has been nine years since the Affordable Care Act passed. It did get 15 million more people insurance, but those numbers are falling since the current administration decided to sabotage the law, and even having insurance insures little more than the insurance companies’ profit. How does a person making $10 an hour afford employer-sponsored insurance (which makes the person ineligible to buy affordable insurance through the Marketplace) that costs $700 a month and has a $6,000 deductible? So, we still have about 33 million uninsured in the US, and millions more whose insurance gives them little or no access to health care. If it’s not deductibles and co-pays, it’s in- or out-of network, it’s denial outright denial of claims that the insurance company should pay for, but will deny if it can get away with it. It’s denial of a lifesaving drug because the policy’s formulary is so limited. Insurance companies are still in charge and we must put an end to that. And nearly all the Democrats are saying they won’t support an immediate move to Medicare for all. They don’t want to hurt Big Insurance by making it do what it’s supposed to, and they don’t want to get rid of the robber barons who run the for-profit insurance companies. Republicans think everything is fine, so we’re not even going to talk about them here. Eleven years ago today, I was heading to Cary, where my son lived, so I could take him to his Tuesday chemo appointment. I still had hope we might have a few months left with him, that we might take a road trip during the summer so he could see friends and family in the Northeast one last time. Mike had been sentenced to death, not because he had committed any crime, but because a birth defect was a pre-existing condition and the poor, struggling insurance companies likely wouldn’t make a profit off of him. So he was condemned to a slow, torturous death. Doctors had been allowed to turn him away because he couldn’t pay. The emergency room had met its legal obligation by giving him a laxative instead of looking for the malignant tumor that was blocking his colon. Medicaid had been allowed to deny him access to care unless he separated from his beloved wife, and the Social Security Administration was allowed to take 36 months to approve his claim. The letter came 11 years ago March 10 — 36 months after he applied following a Stage 3 cancer diagnosis. His first check would come nine days after he died. But Medicaid — once it had broken up his marriage — paid the drug companies, so they got their profit. The total cost of his chemo alone was about $600,000. The ostomy supply people got paid thousands of dollars over that 36 months, while the only help my son was offered was $10 a month in food stamps. He turned it down. This is what life looks like for somebody who needs access to health care. This is what death looks like for someone who is denied that access. People who own homes and have savings are reduced to the poverty in which my son was forced to exist. Most cancer patients go through their entire life’s savings in two years, leaving their families destitute, whether or not they survive. Medical expenses account for two-thirds of bankruptcies in this nation. You can not be prepared for this unless you’re immensely wealthy, and every one of these Democratic candidates can put together millions of dollars, so they have no idea what it’s like for the rest of us. I have taken a lot of heat for saying that I will not vote for a person who won’t support an immediate move to single-payer. But scream at me all you like, I will not support anyone who won’t work on fixing this first thing. I have been patient. But close to a half million people have died since my son did. Jesus, people, how many more will it take before you get it? Does it have to be your child before you see the scale of this disaster? If you won’t make that promise, you can’t have my vote. Not in the primaries and not in the general election. To the DNC: If you force another 1960s-era Republican on me, you will lose my vote. I will not be a good girl and get in line again. It’s up to you to make sure we get a candidate who will work on what 70 percent of voters overall — and 52 percent of Republican voters — want. I know I’m not alone in this, and if enough of us come out and say we will blame the DNC if we get another “centrist” who won’t act on health care, living wages, voting rights, climate change and the war economy, perhaps the DNC will quit trying to block the candidates who will give us what we want. If it means another four years of the current administration, it’s your fault, not mine. I am done being nice. Eleven years ago today, I was packing the car to head out to my son’s. I had no idea that we had just 17 days left with him. I couldn’t imagine life without him, so I began to believe my heart would stop when his did. Part of me still wishes it had. I wouldn’t wish the pain my family and I have endured on anyone, and for that reason, I will oppose any candidate who won’t promise to make a real solution to this mess a top priority. And a real solution means results within two years. I think that’s perfectly reasonable. I can’t get my son back, but I can work so no more mothers lose their children the way I lost mine. If you think you can change my mind, think again. I will not be placated by anything short of universal, affordable access to quality care. The rest of the world has it, and we will too.